The UK government's vote to bomb Syria was what initially led us to Calais. Knowing that our government was causing such destruction and not taking responsibility for dealing with the devastating consequences compelled us to do something to help. We spent some time there over the New Year helping in the warehouse (the hub of the volunteer effort, where the sorting, organising and distribution of donations takes place) and going into the camp to meet some of the 6000 or so refugees from (amongst other countries): Syria, Iraq, Afghanistan, Eritrea and Pakistan, who have found themselves stuck in limbo, doing their best to survive a cold, wet winter in desperate conditions. Seeing how completely reliant the camp is on the work of volunteers inspired us to put together this short film. Shot entirely on mobile phones, this was our first foray into film making. The lack of formal organisations involved in the camp is obviously a huge challenge for managing aid in the camp, but it also means there is more accessibility in terms of offering assistance directly and getting involved on a more personal level. We met a lot of people, who like us have never done anything like this before, but also felt compelled to act. The United Nations special representative on migration describes the conditions as squalid and dangerous. He, like us, was appalled that this is happening on our doorstep in the heart rich Europe and yet our governments sit back and do nothing. It is down to us to be caring and responsible for each other, we clearly can't leave it to the governments! The film gives some insight into the volunteer effort, the warehouse and encourages others to go there and lend a hand - all help is incredibly valuable and whatever your ability, age or length of time you are able to stay is precious and directly impacts on the lives of those in the camp. 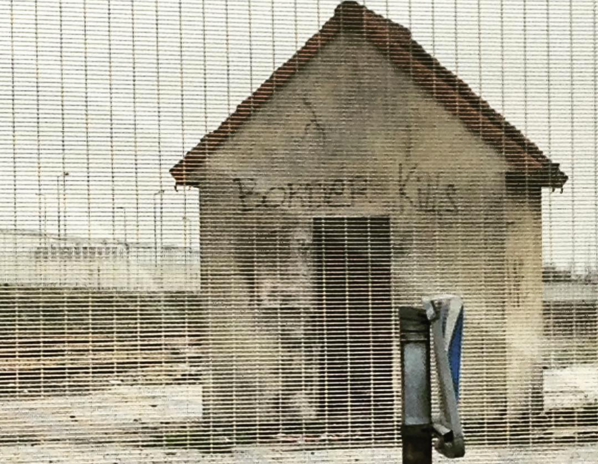 Volunteering in Calais isn't going to solve the problem of the overall refugee crisis and we clearly need to keep applying pressure onto governments to take in more refugees and speed up the application process, but in the meantime, while people are still living in 'The Jungle', it's our responsibility as fellow human beings to try to help them.